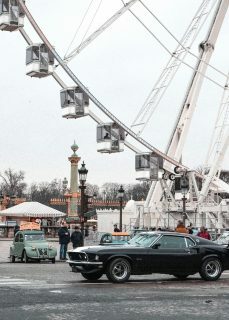 Last year Foundation Cartier hosted, in Paris, an exhibition called “Autophoto” which attracted masses of art aficionados and car enthusiasts alike. References to cars in art are nothing revolutionary though. Case in point: futurism and its deep enchantment with the machines of the 1930s (Luigi Russolo’s painting Dynamism of a Car is an emblematic example). However, it was refreshing to see such a major art display in which the cars weren’t reduced to a state of mere decoration. Showing an astounding selection of the best car photography, in which they are recognized as cultural pieces and not just props to create a particular atmosphere, was a significant step for a contemporary art institution. The crowd filing past these photos was a diverse one, full of French families with kids, confused tourists milling about, lonely wanderers pausing in front of certain photos before shuffling on. But there were also a lot of traditional museum-goers and genuine car enthusiasts. It’s not very often that these two groups find themselves in the same place. Can a car be a legitimate art subject? It was like an invisible question mark, floating in the space. 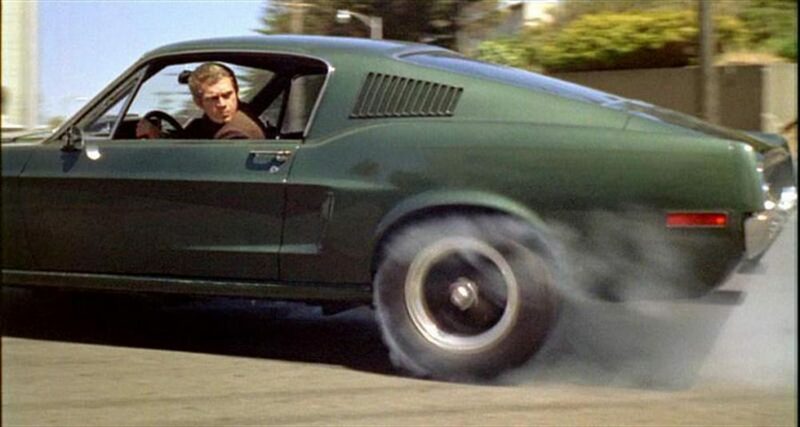 Let’s get to the exhibits, though, and one in particular: the famous shot from the legendary 1968 movie Bullitt, in which Steve McQueen is glancing over his shoulder while maneuvering his stylish fastback Mustang. The visitors had a hard time keeping their hands in their pockets and abstaining from photos (which was prohibited, unfortunately). This shot, which could have easily passed as a culmination of the exhibition, was chosen to be one of its first exhibits, an introduction of sorts to the artistry of automotive photography. 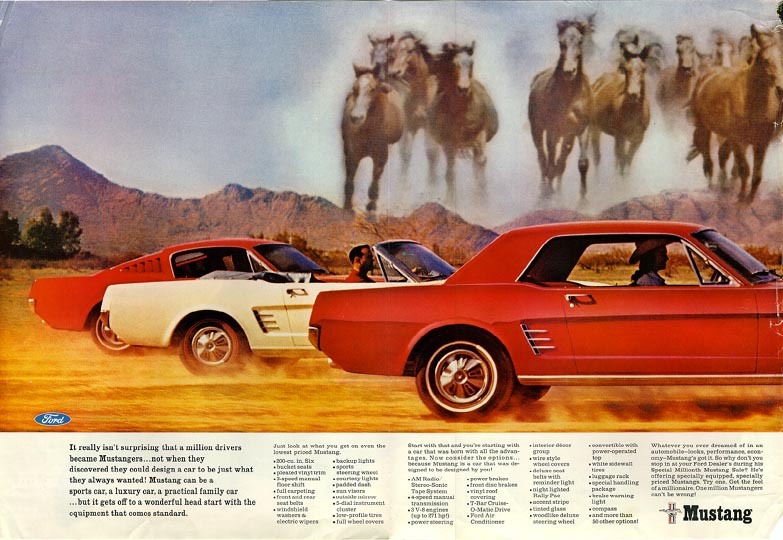 I remember the scene very well because it was this moment that sparked a certain thought in my head: even after more than 50 years, the Mustang continues to ignite fascination, proving that the ideas behind its design have lost no ground in the time since. It was the first time that I’d saw this car elevated to the status of artwork. 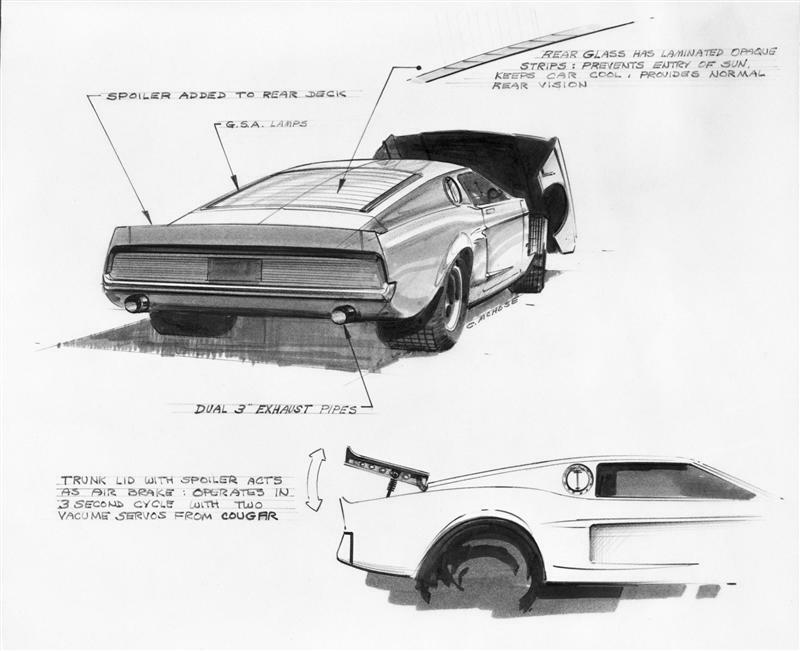 The Mustang’s story has been updated and revisited millions of times in writing and film and other artwork—its essence is almost fully dissected and explained, but there’s always something to add. 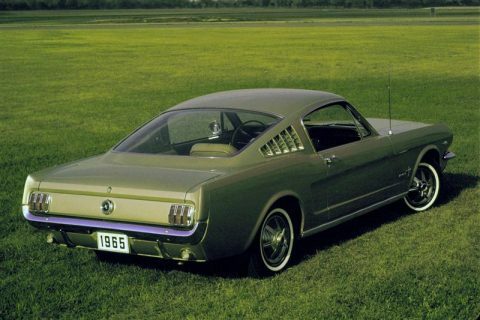 From a cultural standpoint, it’s quite difficult to grasp how the Mustang managed to gain such status as a performance icon while remaining accessible (and I don’t mean just in terms of cost). 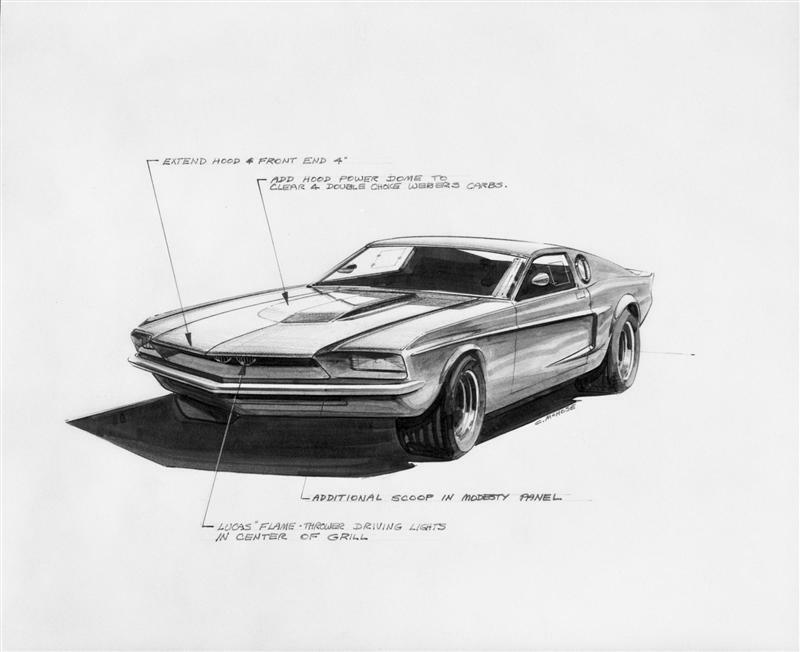 Ford was sharp about the cars’s idea from the very beginning: it had to be elegant (a long, sleek body, associated with European sports cars), practical (enough room for several passengers), and finally, affordable. 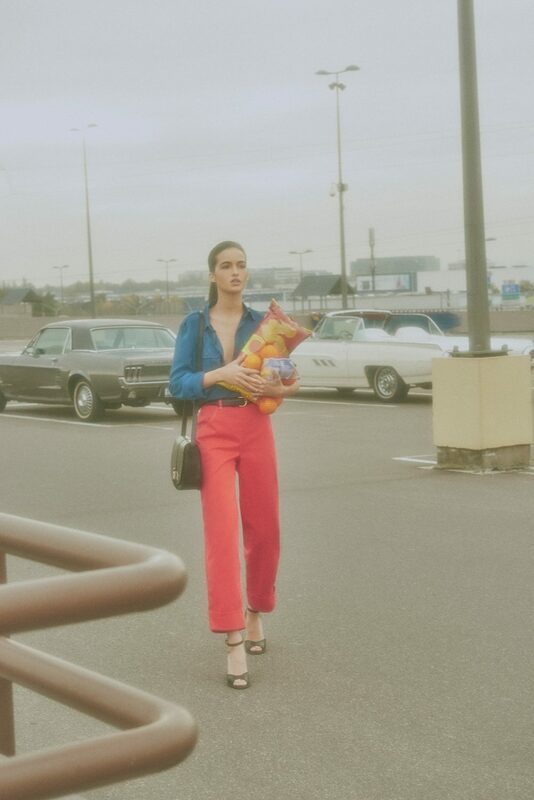 It’s contradictory, when you think of it: usually the most seducing objects are those that are the most difficult to attain; there’s a certain level of excitement and satisfaction knowing that possessing a certain item will distinguish you from the crowd and indicate you as the “trophy owner” of sorts. The Ford Company managed to present a car that made their customers feel like that without spending a fortune. When the model was introduced in 1964, the event caused an unprecedented public reaction: huge crowds flooding the dealerships had to be monitored by the police and the sales were so high that the car was later sold by the lottery principle, meaning only the lucky ones could have the keys of this new, yet already massively obsessed-over newcomer to the material world. 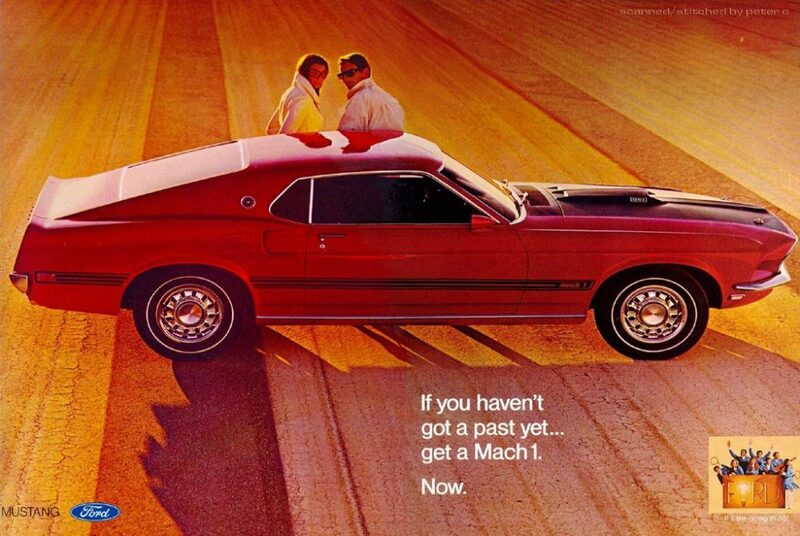 I first came to appreciate the Mustang perusing vintage advertisements. 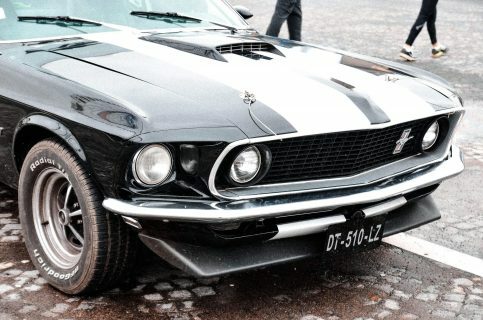 I’d already been fascinated by other pony cars like the Camaro and its contemporaries, and coming from the fashion and design world, I initially paid attention to only one thing: emotions that a car conveys through its look. 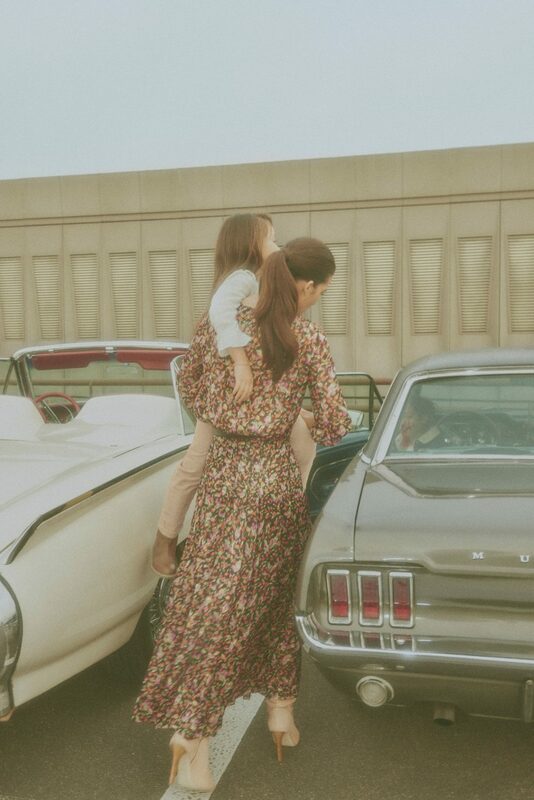 I used to study cars depicted in the fashion advertising, and I realized that automobiles are especially used in ads which seek to portray the atmosphere of the sixties and seventies (one of the latest advertising examples of this would be Vanessa Seward’s Spring/Summer 2018 campaign, in which the romantic sensibility is heightened with the presence of elegant Mustangs, a set of photos from that campaign are included below). 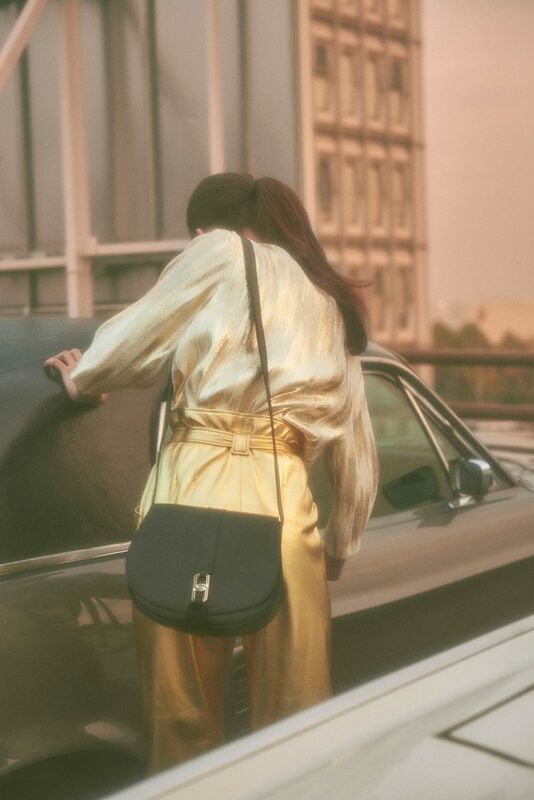 In general, this period is usually characterized by nonchalance, bohemian appeal, slender shapes (be it a dress or a car, it doesn’t really matter). 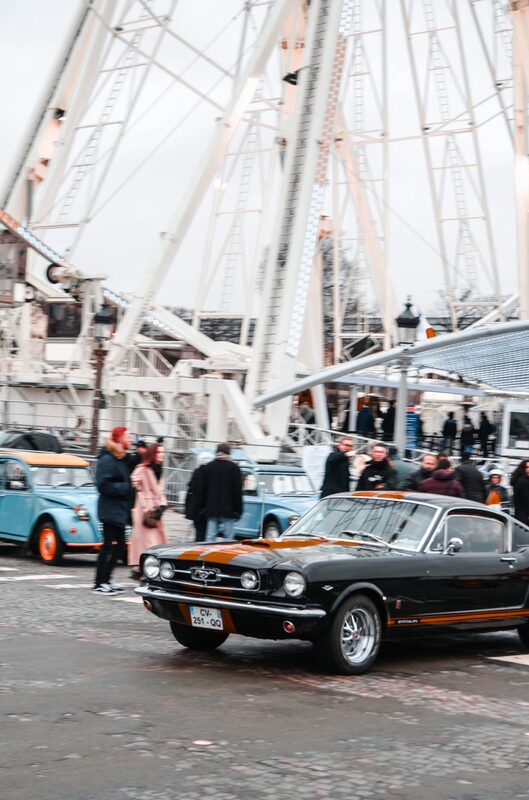 Naturally, I became interested in cars of those times and the Mustang was the icon: an embodiment of youthfulness, wildness, translated into sleek and polished lines; an antidote to boredom and the epitome of power, force, even brutality. Then again, there were the base six-cylinder models with automatics. 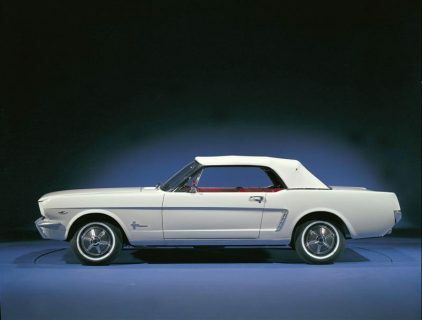 It really was a dynamic car as a whole, and for a shy teenager like me who was just starting to discover her aesthetic inclinations, it was love at first sight. 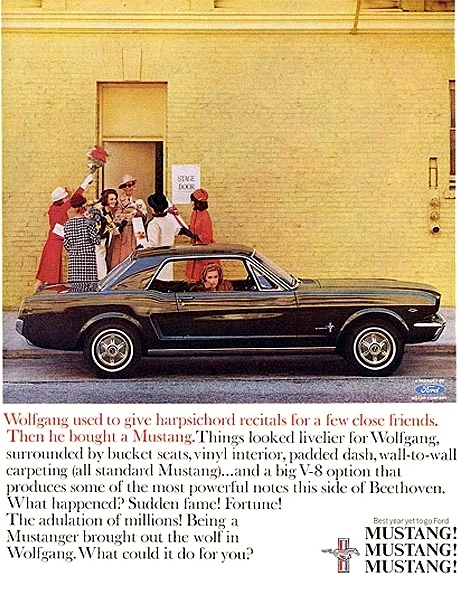 One of the main reasons for the Mustang’s rapid success was its clever marketing, which was supposed to provoke feelings just like those described above; every car enthusiast knows the role Lee Iacocca played in popularizing the car (the exemplary “56 for ‘56” campaign for instance), but probably the most important thing was that he knew how to communicate the car’s philosophy on a deeper, unconscious level. 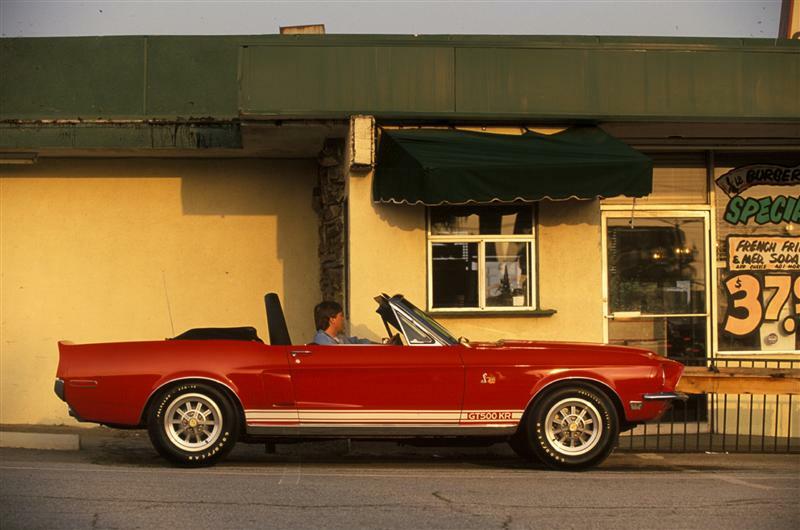 That’s because I think the Mustang’s lasting value is first and foremost emotional. When Ford introduced the Mustang, the company was in definite need of reinventing its image and to do so they needed to offer something attractive to the new generation of buyers. 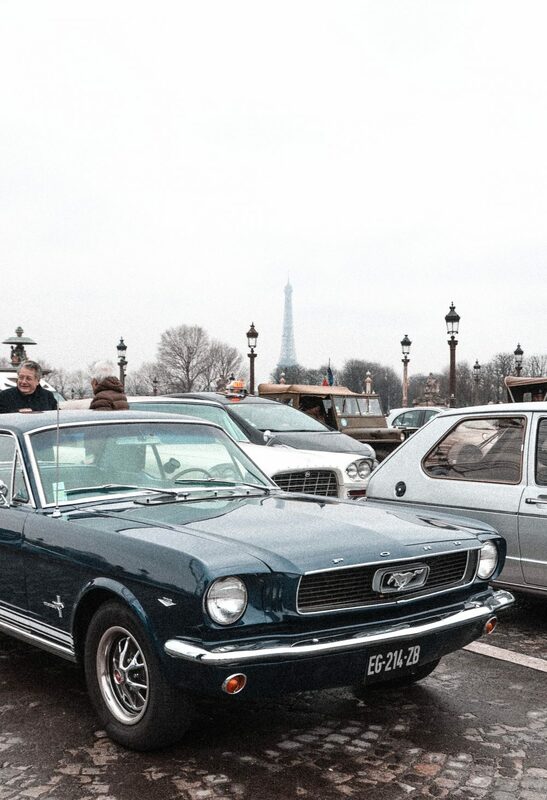 My obsession with classic Mustangs saw me poring over pictures in glossy ads featuring any glimpse of the car, an activity that acquired a new dimension when I moved to Paris. 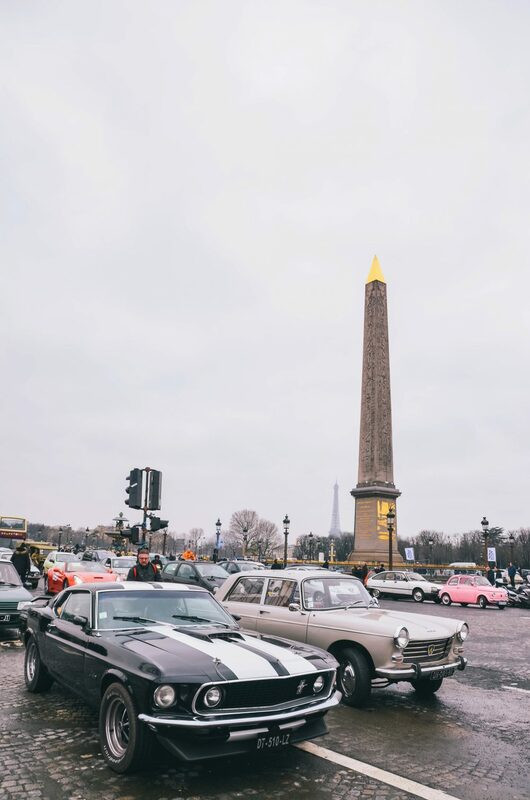 One of the first French songs I heard in the city was Serge Gainsbourg’s “Ford Mustang” (I remember being puzzled by the fact that a French icon is singing about such matters as American muscle cars), and it didn’t take much time until I saw the first “live one” in the streets: a burgundy convertible in Place de la Concorde. 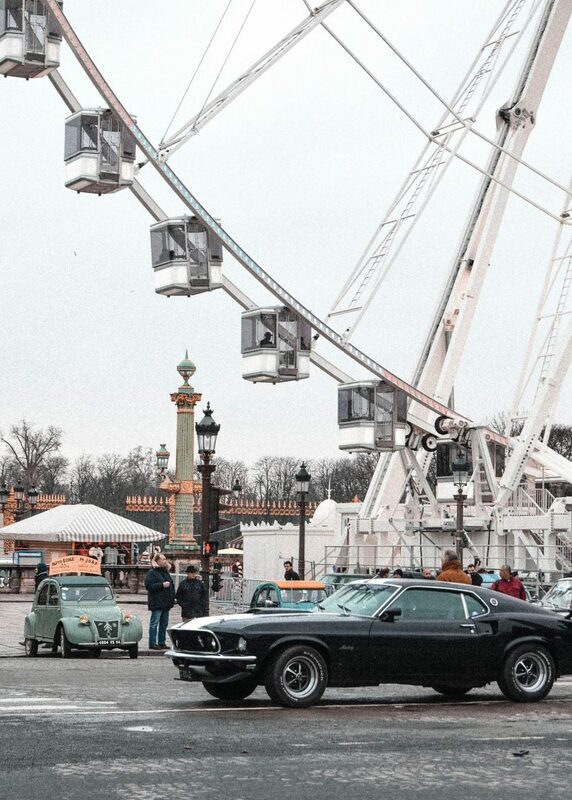 Classic cars are not in any way a groundbreaking sight here in Paris, but the Mustang’s presence is always somewhat of an event, provoking a rush of adrenaline with its high-capacity burble, stealing mesmerized glances from the pedestrians nearby who are accustomed to seeing mopeds and Smarts. 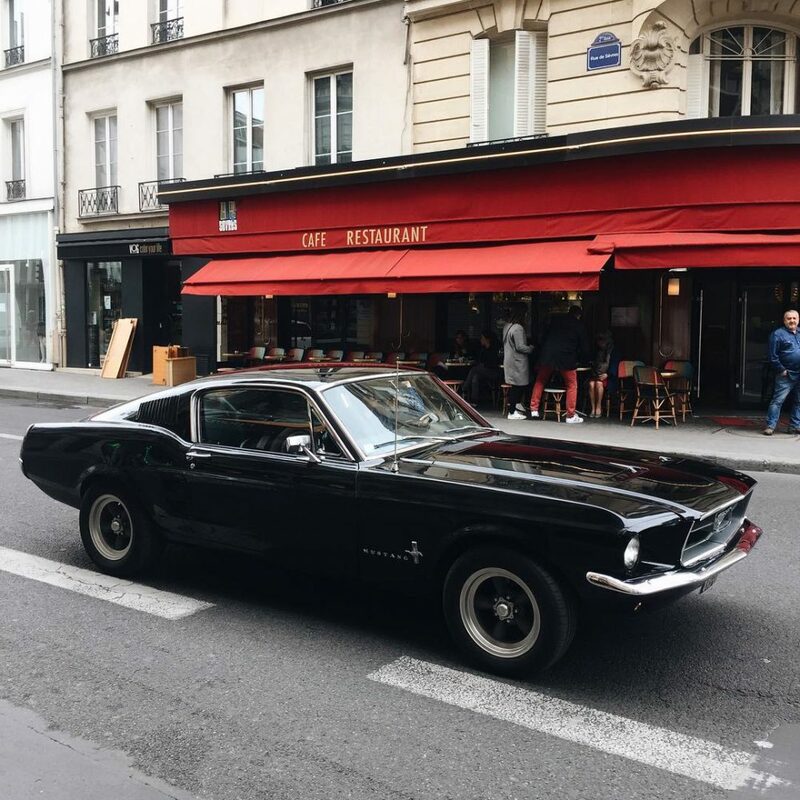 Another sighting: making my way down the Boulevard de Sébastopol, not paying much attention the usual silver mass of French cars in traffic, the monotony is broken by the more aggressive shape of another Mustang convertible. Its driver seemed as if he couldn’t care less about the surrounding world, sitting there smoking his cigarette. Channeling some late Steve McQueen surely, he looked too cool to be real, but in a genuine, not show-off way if you can believe it! 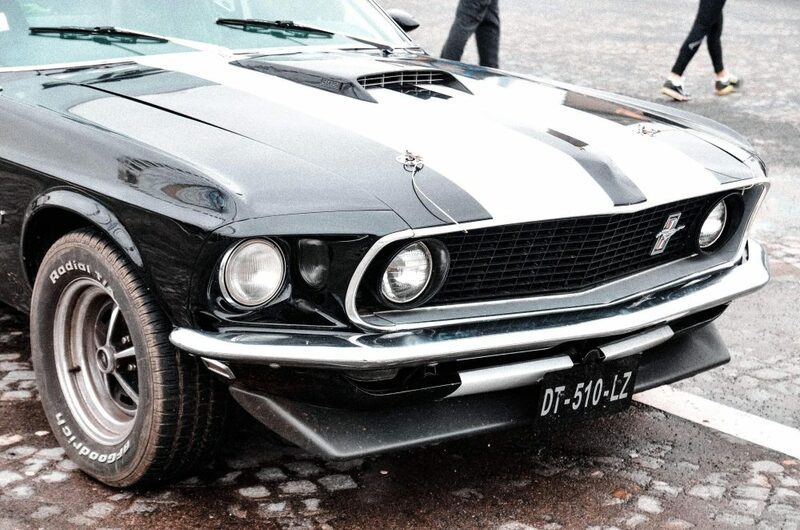 I guess that’s one of the reasons why this car has stood the test of time; quite simply, it makes you look cool. 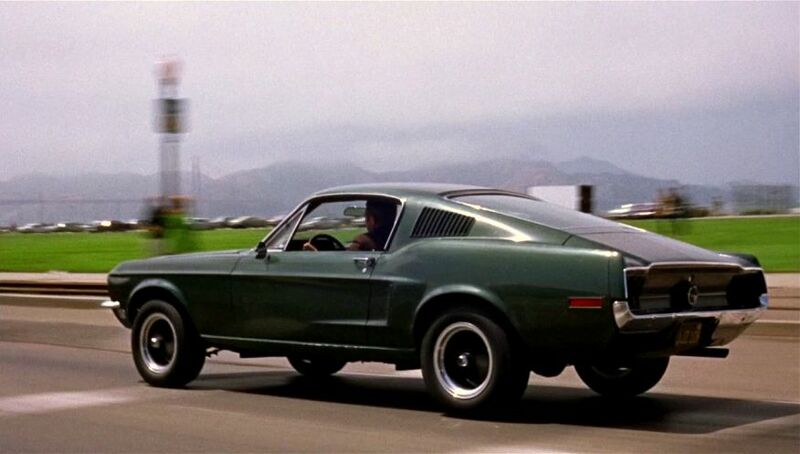 Throughout all these years, from the very first time I saw it in two dimensions to the first encounter with the real thing, I’ve always had a special place for the Mustang. 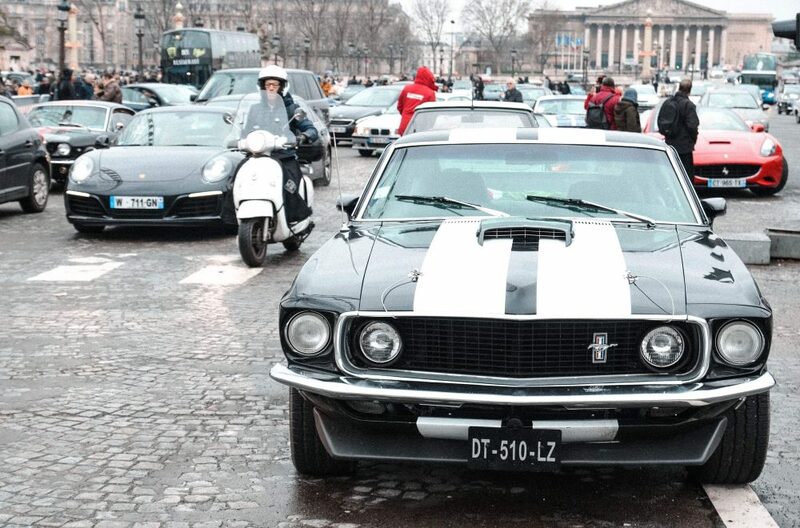 At local classic car events like La Traversée de Paris, even amidst so many other special cars, I have a difficult time prying away from the Mustangs. Taking into account the fact that I haven’t even had a chance to drive one (yet), it’s a bit crazy how much influence it has had over me, the impact of design and the story behind it are endlessly compelling. It’s not always such a powerful symbol of American ingenuity and bold design though, and in contrast to the McQueen hero car, it nails the villain role quite well too. In David Fincher’s 2007 film Zodiac, which depicts the lengthy and frustrating manhunt of the serial murderer known as “the Zodiac” in the early 1970s, the choice of cars was significant in creating the atmosphere of helplessness and dreadful suspense. In one of the first scenes, a pair of teenagers is portrayed in a remote turn-off overlooking the city below. 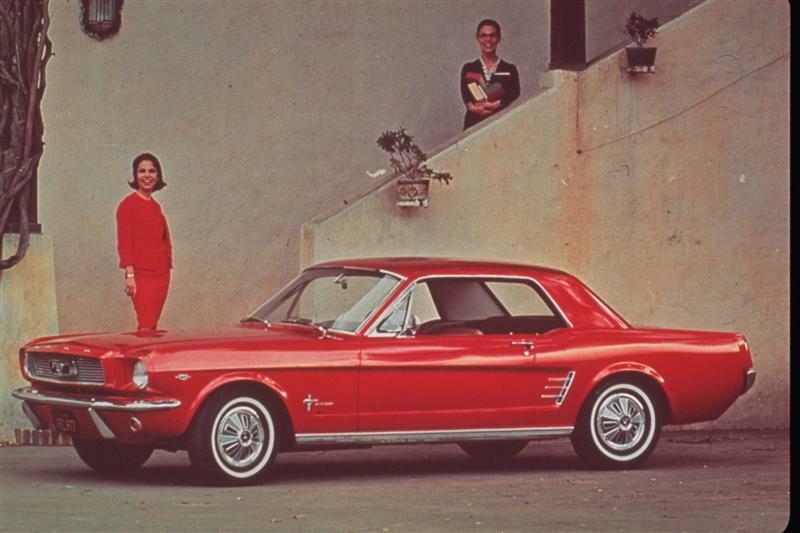 They are sitting in a Chevrolet Corvair, engaged in quite an awkward, private conversation, until they are distracted by a mysterious maroon-colored Mustang which stops just behind them. An uncomfortable moment of anxiety and despair from such a simple action—the car’s sharp silhouette parked just behind seems like a dangerous omen, but the tension breaks when the car abruptly leaves and disappears in the distance. 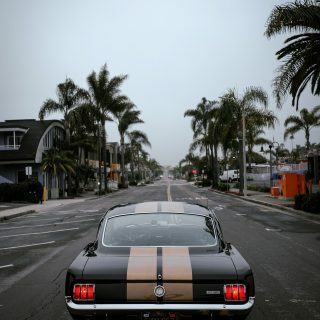 Not for long though, as the terrifying sound of screeching tires announces the Mustang’s return, sealing the fate of the two unlucky lovers well before anything really happens to them. 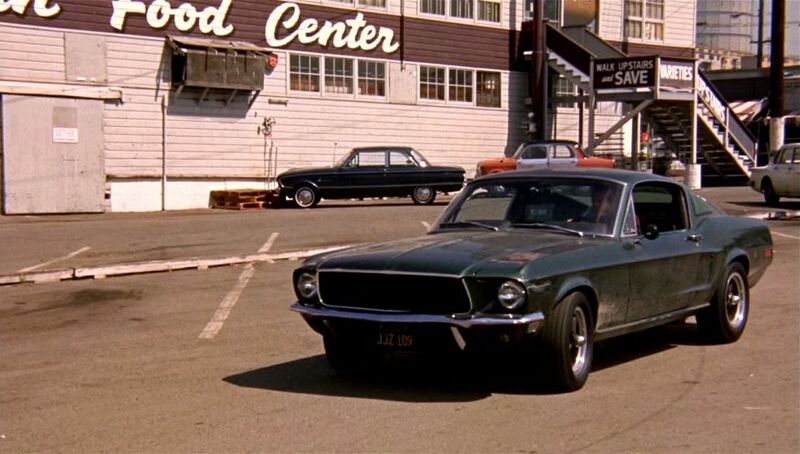 The Mustang doesn’t make any reappearances later in the movie, but the choice to introduce the audience to the Big Bad via this car is an interesting one, especially knowing the fact that Mustangs have usually been portrayed as the car of choice for so many protagonists (Bullitt, Gone in 60 Seconds, I Am Legend, etc.). What a spine chilling thought: a perfect American car, driven not only by ordinary Americans, but by the most grotesque characters as well. 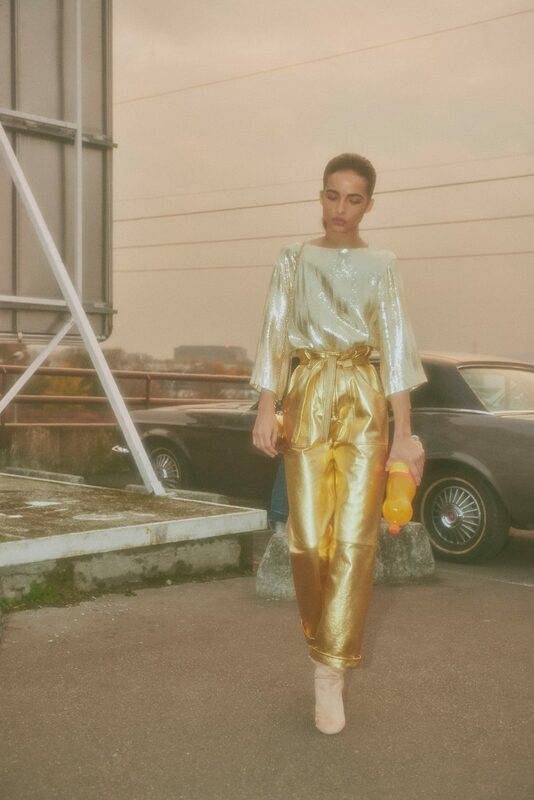 A proof of its universal appeal, or an affirmation of its undeniable aesthetic impact? Awesome article, thanks a lot for sharing your thoughts. The original design of the Mustang is so iconic that it came back in 2005 as a retro version and was followed by its rivals, the Camaro and Challenger. Talking about movies, have you seen the 1966 A Man and a Woman ? Written and directed by Claude Lelouch. Very nice article. 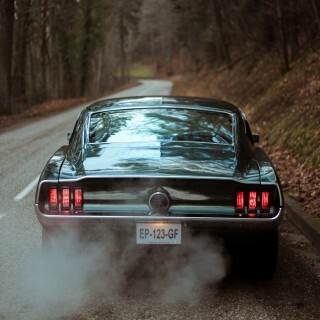 A couple of Stang pics. Thanks for this article ! It’s rare to see the question of whether a car is a worth enough subject for art/a piece of art by itself being tackled without bitterness or snobbism. But I don’t know if there’ll be any movement in the future, the “criminalisation” of cars for being polluant and unsafe will surely prevent recent cars to be considered in any way. Then, maybe old cars will be prevented from it, who knows ? 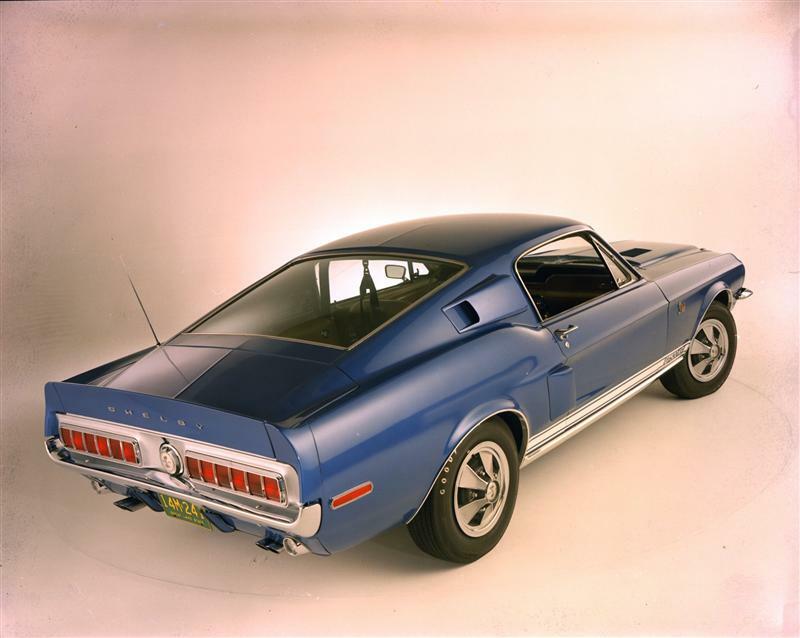 Monika, as a point of clarification, Gen 1 Mustangs (those made from 64-1/2 to 1973 of which all of your photos in the story encompass) were never offered with a V6 engine. You could get either a 170 c.i.d or a 200 c.i.d. 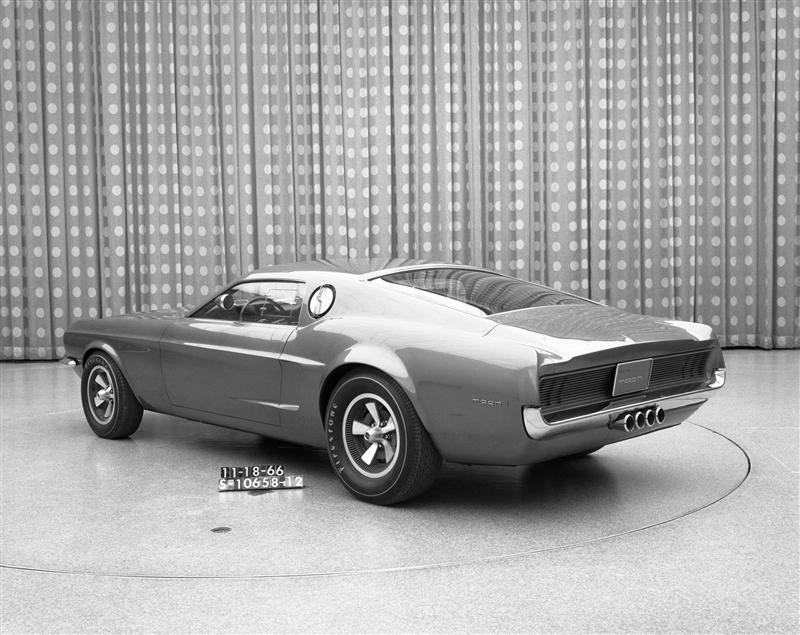 straight 6 or any number of V8 options, but a V-6 wasn’t available until 1974. Enjoyed your article and thanks. The first year of the Mustang II, 1974, the engine options were the 2.3 four cylinder and the 2.8 V6.